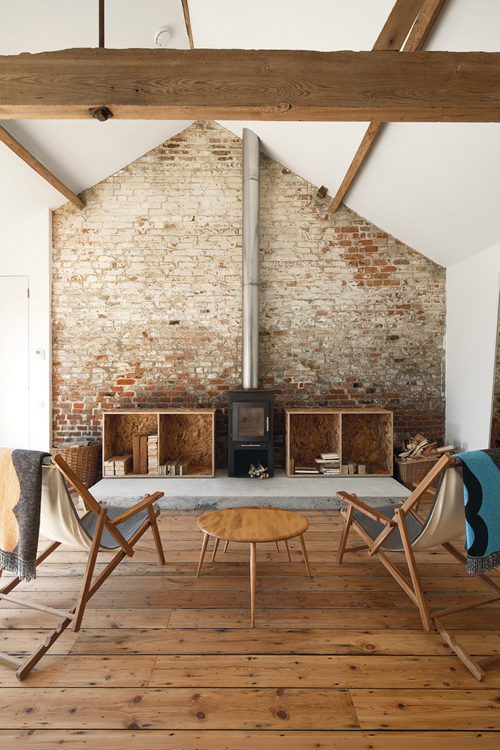 Ochre Barn is a multi purpose development: it houses a retreat, studio space and private residential accommodation for architect Carl Turner and his partner Mary Martin. 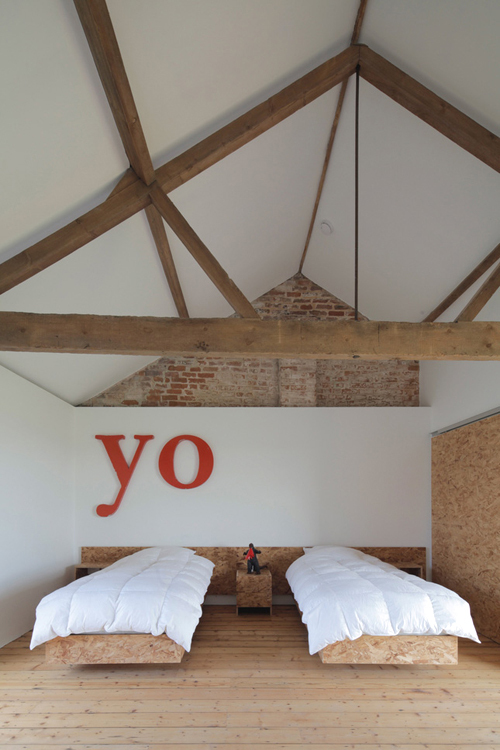 The gorgeous barn is tucked away in the rural country side of Norfolk, England. When renovating the barn the original exterior was maintained as if it were a listed historical structure and the interior has been lined with particular attention given to highlight and expose the original bull nose brick details. 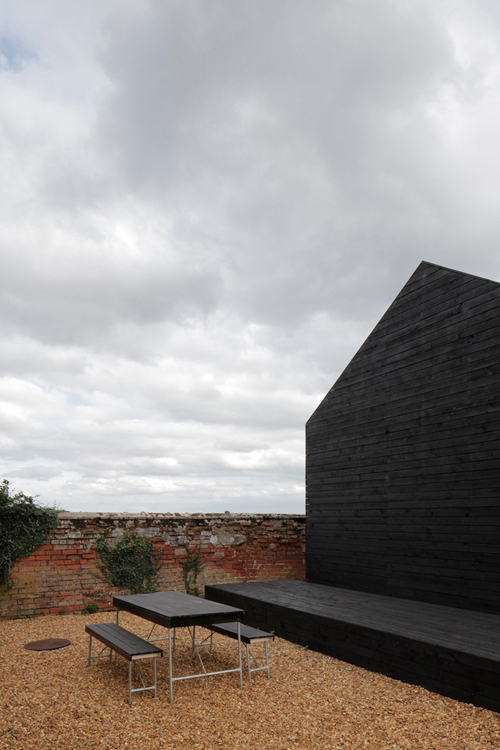 Next to Ochre Barn, a new barn (the black one) was built. It only cost about $48,000 to build, which was incredibly cheap,” says Turner. “We got the Timber Frame Company to supply the shell, then we clad it and fitted out the interior and windows ourselves. Amazing! i love the fireplace living room ! Does not emit OSB phenol? 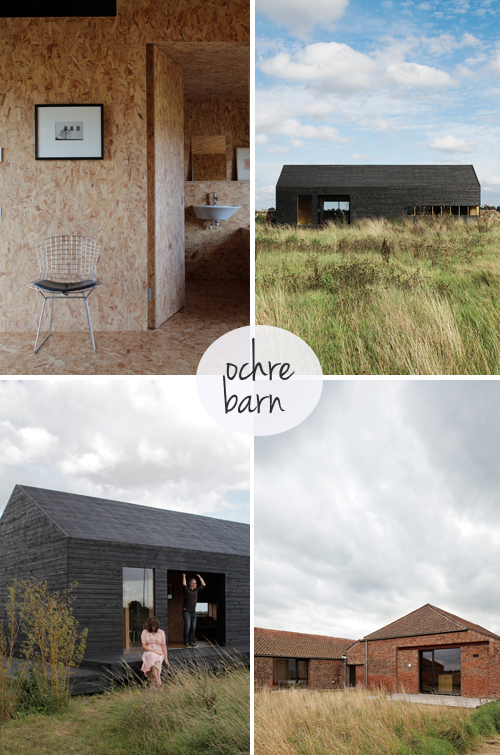 love the ochre barn interior and the new barn shape, beautiful! 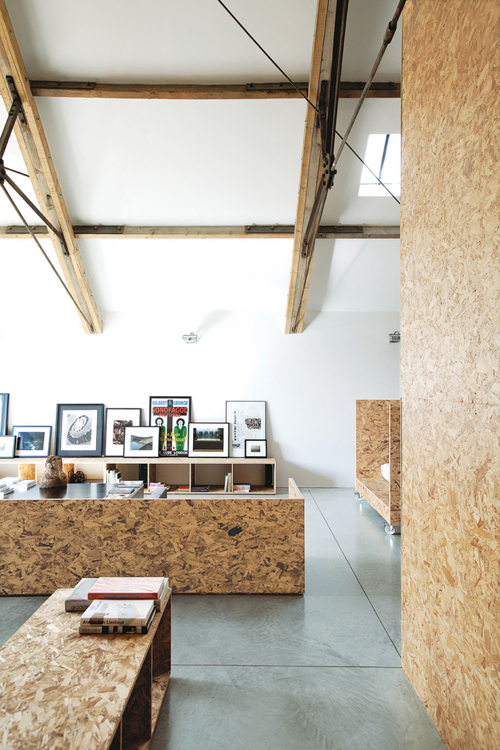 Major reservations about using osb board for furniture and exposed wall cladding, mainly because of it’s environmental problems but also aesthetically unpleasing.